Due to the high expectations of teachers in Chinese culture, teachers are highly respected and trusted. However, the role of teachers in Taiwan is gradually shifting. In order to understand the expectations of teachers, it is necessary to understand the two roles they play in traditional Chinese culture. The two roles are teachers of knowledge and teachers of people. Teachers of knowledge are responsible for instruction, the process of disseminating knowledge to students, but at the same time, teachers of people are expected to guide students on the way to become better people. Since education has become compulsory in the modern society, the teacher’s role has expanded to include a wide range of additional tasks. However, the recent Western influences and new policies in Taiwan regarding teachers, such as accountability, professionalism, and advocacy for student’s rights, have increased pressure and caused confusion for teachers. In doing so, the traditional role of the teacher in Chinese culture has been obscured and is at the point of being lost. 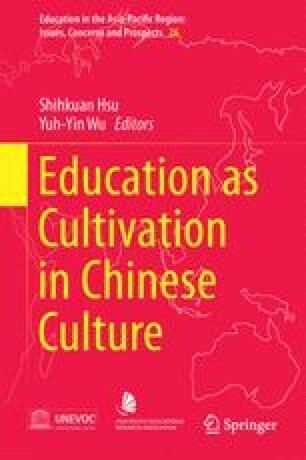 Reflection on the traditional Chinese role of the teacher suggests that greater autonomy for teachers to practice the traditional functions would restore confidence in their role in modern education and fill the gap created by piecemeal adaptation of Western concepts and find a solution to the reform problem in the Chinese culture.